The Norwegian Broadcasting Corporation’s 134-hour nonstop live Hurtigruten broadcast of its coastal voyage was seen by nearly 6 million viewers from 148 countries, setting a record as the world’s longest live TV documentary. The project by Norway’s state broadcaster NRK and Hurtigruten ran June 16 to 22 as 3 million Norwegians watched parts of the program. This represents nearly three-quarters of the country’s population, a record rating for NRK2. Viewers from other countries, through the Internet, hit 1.3 million, with the U.S. coming in as the third-largest audience behind Norway and Denmark. The broadcast can be viewed at www.nrk.no/hurtigruten. During the voyage, Hurtigruten was a trending topic on Twitter, at one time with one tweet every six seconds. The show’s Facebook site “Hurtigruten minute by minute” received 65,000 “likes” during the five-and-a-half-day voyage. The broadcast resulted in all-time high visits on Hurtigruten’s websites around the world. 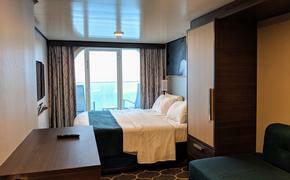 Multiple cameras were set up onboard the 457-berth Nordnorge and filmed around the clock until the ship docked in Kirkenes. For more information, call 877-301-3117 or visit www.hurtigruten.us.